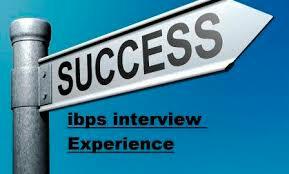 Dear Readers, We are sharing IBPS PO-VI Interview Experience 2017 of our reader Mr. Vijay Singh. When I opened the door , panel members are sitting in front of me. I wish them and they asked me to sit. M2: She asked me what you did in last two years after passing your graduation? M4: Tell me today's news related with banking and finance? M5: What is plastic money? M2: What is NPA and which PSU has maximum NPA? M3: How many banks are going to be merge with SBI? M5: What is H -1B visa and how it affects Indian companies?